These great kits are complete maintenance systems. Each kit comes with two 4 oz. Bottles of product, machine washable cleaner and polisher cloths in a convenient vinyl drawstring pouch. Just pick the appropriate kit for your instrument and finish. Ultimate Care Kits make great gifts. Contains: Key-Brite, All-Brite and one each Polisher & Cleaner Cloths. Contains: Key-Brite, Super High-gloss Polish and one each Polisher & Cleaner Cloths. 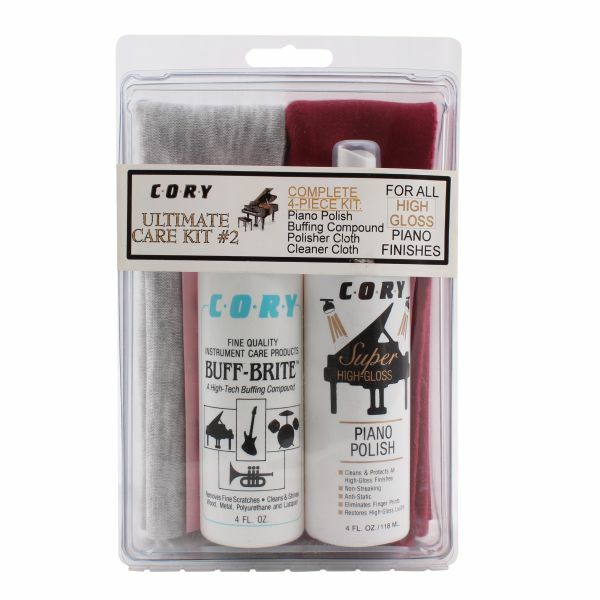 Contains: Key-Brite, Satin Sheen Polish and one each Polisher & Cleaner Cloths. I am delighted with my Paul Jansen Artist Piano Bench. it is lovely, well constructed, very comfortable and easy to adjust. My piano tuner is especially pleased with it. Great service! All the products and parts that I have ordered have been delivered promptly and correctly. Much thanks!